website designers are professionals who design web pages and sites for their clients for business purposes. They display a clearer expertise and concentration on creating visually interesting work as it relates to the internet and to the web-based media. 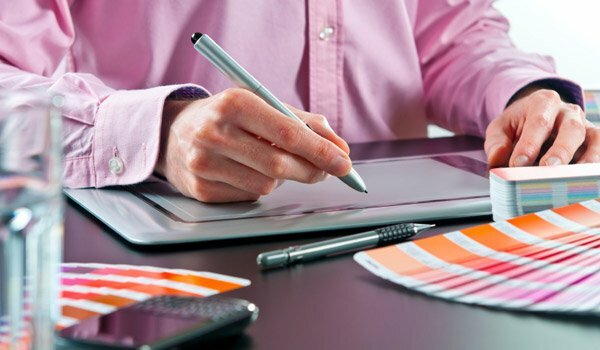 Website designers are responsible for the designing of the site and also its rich contents such as animations, search engine optimization, interactive applications, online community, e-commerce, and advertising hosting the sites and ensuring that the site’s design is optimized for the specific technologies supporting it. The qualification for website designers is a bachelor’s degree in graphic design, visual arts, fine arts, or related fields. A bachelor’s diploma in design or Master’s degree in design is a huge bonus in this profession. Those who choose to earn a Ph.D. in the field can find themselves in academic line. In addition to this, they require additional skills such as communication skills, computer skills, design in arts & graphics, reading comprehension, and creativity skills. The median salary in Texas earned per annual is $64,970, with the lowest 10% earned per annum is $34,770, while the highest 10% earned per annum is $116,620. The employment growth rate for website designers is 27% from 2014 to 2024, much faster than the average occupation. The career of a website designer is that they make sure that the site they built is both mobile and desktop friendly. They build a site to generate e-commerce, with sales results ultimately provide the measure of the success of its work. Website designers create the look, feel, and navigation for websites using HTML programming, as well as a number of computer graphics programs. Their works include the user interface, creating catchy graphics or animated images, and choosing the style, fonts, and other visual elements to make a site appealing and advance in its business purpose. This is a profession that requires the knowledge of how to prepare and serve large quantities of food for special events. They provide remote foodservice for clients who are hosting events such as banquet, weddings, and conferences. They are involved in the cooking and serving of food at events. They create menus, drawing of contracts, following food handling regulations and also establishing menus and pricing of an event. The educational qualification required by this professionals is either a certificate, diplomas’ or an associate’s degree in catering. After the completion of the program, a licensed is for starting a catering company. They require physical stamina, communication skills, interpersonal communication, business and entrepreneurship skills. The median salary earned per year for a cateror is $33,372, the employment growth rate for catering is 5% from 2014 to 2024, much slower that the average occupation. However, experienced is needed in this salary scale in order to earn higher. This career is all about marketing a catering business, preparing and serving of foods in an event place such as weddings, parties, e.t.c. They oversee staffing and other activities in a catering company must know how to market and run a business. A cosmetologist is professionals who provide beauty services that include caring for the conditioning of hair, skin, and nails. They work as hair stylists, shampooers, barbers, esthetician, makeup artists, and manicurists. They cuts, styles, colors, curls and straightens hairs for their clients and also gives advice based on the texture of their hairs, condition, color, and complexion. They also shampoo, cuts, and styles hair for clients, they also use chemicals in the strengthen of their hairs. They also use cosmetics to enhance or change an actor’s or performer’s appearance. The minimum education require for cosmetology is a high school diploma or equivalent, and a state license is also required after completion, that is varied by states. The skills require for this job, in addition to the training program is communication skill, customer-service skills, cleanness, time-management skills, physical stamina, and creativity skills. The median salary scale for a cosetologists in Texas differs based on the duties such as; hairstylist earns $23,120 per annum, Barber earns $25,410 per annum, Makeup Artist earns $44,310, Esthetician $29,050, and Manicurist & Pedicurist earns $19620 per annum. The employment growth for cosmetology vary according to their duties and is expected to grow at 10% from 2014 to 2024, which is much faster than average for all occupations. Cosmetology as career inspects and analyze hair, skin, scalp for treatment, discussing of hairstyle options, washing, coloring, lighten, and conditioning of client’s hair. They cut, dry and style hair, and also cleaning and sterilization of working equipment, and finally receive payments from clients. These are professionals who focus on helping their client’s improve their athletic performance, recover from injury, and preventing future injuries. They treat amateur athletes, in helping them getting better in their performance through exercise programs, and also for disabled patients desiring to get better by expanding their physical abilities. Sports medicine refers to treatments of athlete and non-athlete by a team of professionals with a varying level of education. The educational qualification for sports medicine varied according to the health care professionals that make up the profession; For physician, A Doctor of medicine or Doctor of Osteopathic Medicine degree is required, while for Physical therapist; A Bachelor’s degree and Doctor of Physical Therapy degree is required, and Atheltic Trainer; A bachelor's degree is required and after which a State licensure is acquired with a pass by the different Sate Board of this Profession. They require good communication skills, creativity, detailed oriented and motivational. The median salary earned per year differs based on the profession that makes up sports medicine; physician earns a median annual wage of $214,273 per annum, Physical therapist earns $ 84,020 per annum, and Atheltic trainer earns $44,670 per annum. The employment growth rate varies from 14% to 34% from 2014 to 2024, fast as much as the average for the occupation. 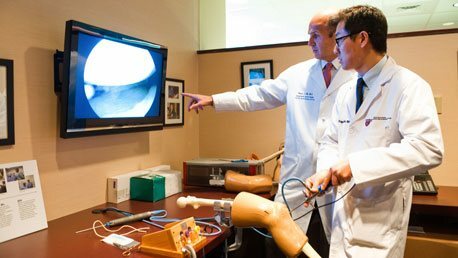 Sports Medicine in Texas as a career combines several healthcare professionals to make up this field. They diagnose and treats patients, prescribe medications, and perform surgeries. They take a more holistic approach to medicine by focusing on the body’s musculoskeletal systems. They help restore function and mobility to injured limbs or other parts of the body, relieve pain and try to prevent or limit the effects of disabilities caused by an accident or disease. They diagnose, treat and work to prevent injuries, including sports-related injuries, in patients of all ages. They work with patients to maintain and improve their physical fitness. They focus on the cardiovascular system and help rehabilitate people who suffer from heart problems or other chronic diseases. Exercise physiologists also develop customized exercise plans and offer sports training guidance and counseling. They develop and supervise exercise programs to help people regain their strength and mobility following an injury or illness. They develop therapeutic exercise plans, including aquatic exercise, and help people re-learn how to walk or use a prosthetic limb. Find colleges in Texas and start your career traning. These are professionals who create the code that makes the video game run. Game programmers have a diverse selection of choice to choose from when coding the game, some focus on the graphics engine programming and specialize on 3-D graphics, logic, and mechanics particular to a specific game, and also a lead programmer, which takes the responsibility and management of all programming that goes into a particular game. They work with video game designer, who designs each level, characters and story line for a particular game. The educational qualification for computer game programmers is a bachelor’s degree in computer science or software engineering with an emphasis in C++ programming language, computer architecture, and software design, and also a having a good knowledge in mathematics or A 4-year Bachelor of Science in Game programming. The skills require in addition to this qualification are communication skills, detailed-oriented, creativity skills, programming skills, gaming experience, and technical skills. The median salary earned per annual by computer game programmers is $102,160. The employment growth rate for computer game programmers in Texas is expected to increase by 17% from 2014 to 2024. Game programmers as a career design, creates the code and developes the video game run to work on the various platform in which they want the game to run on. International relations are professionals whose career is to focus on the political relationships between countries and nations, however, it encompasses a variety of professions (Political scientist, Journalists, & Management consultants) that range from those which are involved in the political sphere to others involving international trade. International relations study and analyze political systems, theories, and trends, they use their findings in forecasting political trends and advise on governments and international organizations. They work as journalists, interpret data and write articles to communicate information to the public. The minimum educational qualification for this profession is a 4-year Bachelor’s degree in International relations, or Political Science, or Journalists, or Management consultants or Religion, and Economics. However, they also require a master’s degree or a Ph.D. degree in International Relations or the related field. They require good communication and writing skills, detailed-oriented skills, critical thinking, and creativity skills in reporting. The median salary wage earned by International Relations is $88,734 per annum and range from $82,670 to $104,000 per annum, and this is based on the professions of the International Relations. The employment growth rate for International Relations increases from 13% to 21% from 2014 to 2024, much faster than the average occupation. The International Relations are reporters and correspondents that work in print, radio, television, and online media. They are involved in the affairs of nations dispute, or between two countries. They organized information related to problems experienced by companies, conducting on-site interviews, analyzing financial data and developing solutions to recommend to management. They involved in multinational corporations and international business and also learning about foreign languages. Sports Psychologists are professionals helps athletes improve their performance by engaging them in mental strategies and can train athlete on a low level in enhancing their performance. The techniques used by sports psychologist help athletes to overcome problems, improve focus, reduce anxiety, and expand their potentials. They are involved in the development of more effective communication and anger manager skills. They assist in the recovery process of pain tolerance and those that are undergoing physical therapy. The minimum educational qualification for this profession is a bachelor’s degree in Psychology, after which, a Master’s degree or doctoral program in clinical or counseling is required. They combine both psychology and sports in enabling their clients gets better both physically and mentally. In addition, they require some skills such as communication skills, interpersonal skills, critical thinking and physical stamina. Some states require a license after graduation with a pass in the licensure exams and also a 1-year internship program approved by the American Psychological Association (APA) may be an additional requirement for graduation. The median salary wage earned by Sports Psychology is $94,590 per annum. The range of the salary earned per annum is between $60,000 and $80,000. The employment growth rate is expected to increase by 19% from 2014 to 2024, much faster than the average of the occupation. Sports Psychologist is professionals who counsel athletes facing personal and career crises such as anxiety, performance issues, behavior modification and mental responses to physical injuries. They improved the mental conditions of their clients and also their physical stability. These are professionals who provide strength-based, intensive mental health services to families, couples, individuals, and children utilizing the principles of cognitive therapy complemented with solution focused therapy. They are engaged in the planning, implementation, and evaluation of therapeutic treatment programs for each client. Marriage and family therapists help their client overcome or manage their disorders or illness which can include anxiety, low self-esteem, obsessive-compulsive disorder, depression and substance abuse. The educational qualification for Marriage and Family Therapists is a both a Bachelor’s or Master’s degree in Marriage and Family Therapists or Clinical Psychology. A licensed is require by this profession in order for them to practice after the completion of the degree program, from Association of Marital and Family Therapy Regulation Boards. They require several skills, such as communication skills, service orientation, social perceptiveness, and problem-solving and critical-thinking skills. The median salary earned by Marriage and Family therapists in Texas are $48,600, with the lowest 10% earned per annum is $30,540 and the highest 10% earned per annum is about $81,960. The employment growth rate increase by about 20% from 2014 to 2024, faster than the average for all occupations. Marriage and Family Therapists cooperate with staff and other community agencies in carrying out treatment plans, attending and participating in weekly schedule clinical team meetings and reflective supervision. They help people resolve conflicts as well as manage and overcome mental and emotional disorders. They see couples and families, of course, but increasingly, these therapists also treat individuals. This is a discipline that combines several profession that ranges from literature down to philosophy, they focus less on thought, intellect, and more specific skills. They offer students a wide range of general knowledge that covers disciplines in the social sciences, sciences, arts, and mathematics falls within the liberal arts curriculum. Making career choices in liberal arts includes teaching, communications, media, advertising, marketing, public service or law. You might work in the business, government, nonprofit sector, science, social science, music, or language sectors. The educational qualification required for Liberal Arts is either an Associated Degree or a Bachelor’s degree or a Ph.D. degree in liberal arts disciplines, including sciences, social sciences, arts, and mathematics. A licensure, certification, devlopmentProfessional Associations helps in the further advancement development on education is required in order to practice or have a job. The skills require by Liberal Arts professionals are communicational skills, creativity skills, critical-thinking abilities, self-confidence, leadership skills, integrity, Initiative skills, and be able to recognize and understand relationships between differing fields of study. The median salary earned by liberal arts disciplines is based on the discipline and range from $35,800 to more than $48,500, and the median salary earned is $41,800. The median salary earned by political science with bachelor’s degree is $40,600, with Psychology majors having a median salary earned is $35,700, and other humanities disciplines with a bachelor’s degree earn $40,700 per annum. The employment growth rate for Liberal Arts is expected to increase from 5% to 12%, much faster than the average for all occupations. Management is among one of the largest, most varied and most interesting areas of work in the global economy, they are involved in the managing people and resources in the business. They give support to various organizations, from large government agencies to small business, and efficiently by directing numerous logistics services for both personnel and physical administration. They are involved in the hiring and developing of qualified employees for their teams, managing costs and budgets, and for sales management roles, driving of profitable revenue. They develop reports, monitoring KPIs and sharing outcomes and actions. The minimum educational qualification for Management is either a bachelor’s degree in finance, engineering, construction, Hotel & Lodging, Marketing, Advertising and Public Relations, Property and Real Estate, Medical and Health Facilities, Industrial Production, Computer Information Systems and Human Resources and Labor Relations. A high school diploma is also required in some related management field. The skills needed for this discipline are communication, time-management, critical-thinking abilities, detailed-oriented skills, analytical skills, and self-discipline skills.